to the United Kingdom, an "advanced automobile country." The Compagno Berlina attracted considerable attention in ‘I964 when the Mainichi Shimbun sponsored a project to follow the course of the Olympic torch for the Tokyo Olympics. 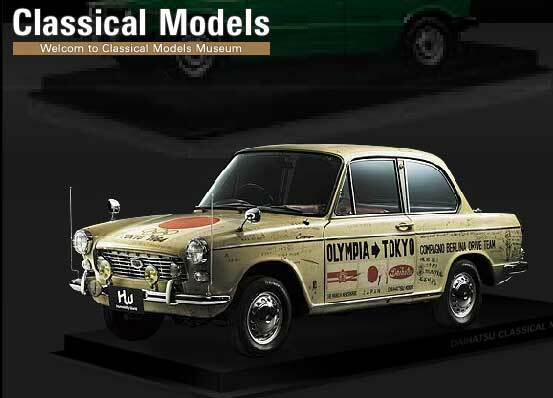 Six people, including Daihatsu employees drove two Berlinas and one Highline 18,000Dkm over a grueling course through highlands, wetlands, and ﬁery desert sands In 1965, the Berlina set a record in the Japan Adult Economy Run by achieving a fuel eiﬁciencv of 40.58km/l and proving the performance of its engine.